So, what’s his secret to goal-scoring success? 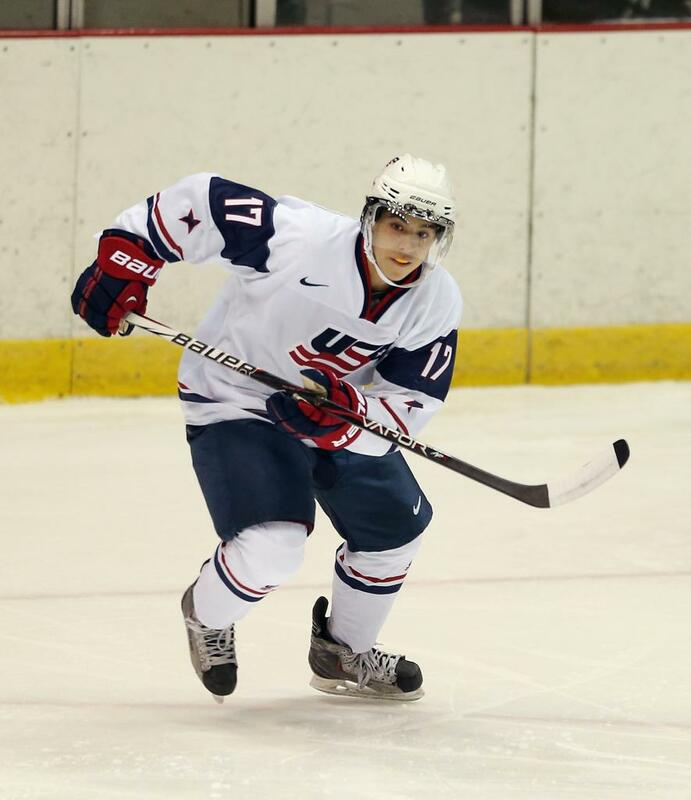 In two-and-a-half years at Boston College, Johnny Gaudreau has scored plenty of times, none bigger than his goal during the third period of the 2012 NCAA National Championship game. After picking up the puck at center ice, he pulled off a toe drag to get by one defender and flipped a perfect backhand shot past the goaltender. The strike sealed the win for Boston College and encapsulated everything that makes Gaudreau a truly special player and a favorite for this year's Hobey Baker Memorial Award. Indeed, the 5-foot-8 winger from Carneys Point, N.J., possesses the type of speed and puck skills that young hockey players around the world practice endlessly to achieve. So, what’s his secret to goal-scoring success? The secret is, there isn’t a secret. In fact, when Gaudreau thinks about what got him to an elite college hockey level and warranted his selection in the fourth round of the 2011 NHL Draft, it's not those pretty plays. Great goal-scorers don't just score on highlight reel moves, he says. They score because they work hard in every part of the rink. For every toe drag and dangle that makes Gaudreau a star, there are two or three other goals that come solely because of fundamentals, like positioning himself to set up an open shot. "You have to keep moving," Gaudreau says. "Getting to the net and supporting your teammates will help your team score more goals. When I think about most of the goals I've scored at B.C., they came because I worked hard in the corners or the front of the net." Whenever he steps onto the ice, Gaudreau is among the smallest players taking a shift. And yet the things that help him score goals are the same lessons that any young player can learn to start putting the puck in the net. Coaches talk about that same handful of strategies frequently, but it's important to teach young players that they work. Even when the goals don't come, Gaudreau says, focusing on moving without the puck and finding open parts of the rink are the best cures for any slump. "Sometimes you don't score, but it's important to keep your confidence up," he says. "I know it was something I struggled with when I was a kid, but my coaches always told not to worry about it." For players at any level, few feelings top the joy of scoring a goal and helping his or her team win a game. Goals don't come by accident, though. Not every player has the skills to skate through opponents and score the prettiest goal. Every player can work hard, though. Every player can battle in corners and get to the net. It's players that remember these simple truths that score important goals and help their teams win games. "When I was a kid, I was scared to get into the corners or battle in front of the net because I've always been small," Gaudreau says. "But my dad and different coaches always told me not to worry about it. If you want to score, you have to work hard in every part of the rink. The gritty plays help your team win as much as the pretty ones." Practicing skating and shooting are significant parts of any hockey player's development. They aren't the only elements of the game that factor into goal scoring, though. Johnny Gaudreau knows this. He learned it because it worked for him when he was a kid, a teenager and now as one of the best college hockey players in the United States. Work hard. Move without the puck. Battle in front of the net. And the goals will start to come.